This is a true "rambler" in the sense that is just rambles on... There is so much more room than meets the eye in this home! Three good-sized bedrooms, master bedroom with full bath and walk in closet and two guest rooms. The kitchen offers plenty of space with the adjacent dining area and a pantry, all with new flooring. Living room has a pellet stove, sliding glass door to concrete patio, and down the hall are the bedrooms and guest bathroom... Until the end, one more door to the outrageously huge family room with a half-bath and laundry room! The parcel is 1/3 of an acre and offers shaded lawn and patio area, a small storage building, and the level, neatly-kept grounds offer a clean slate to enhance with landscaping. The attached 2-car garage is another bonus, along with city water and sewer service. 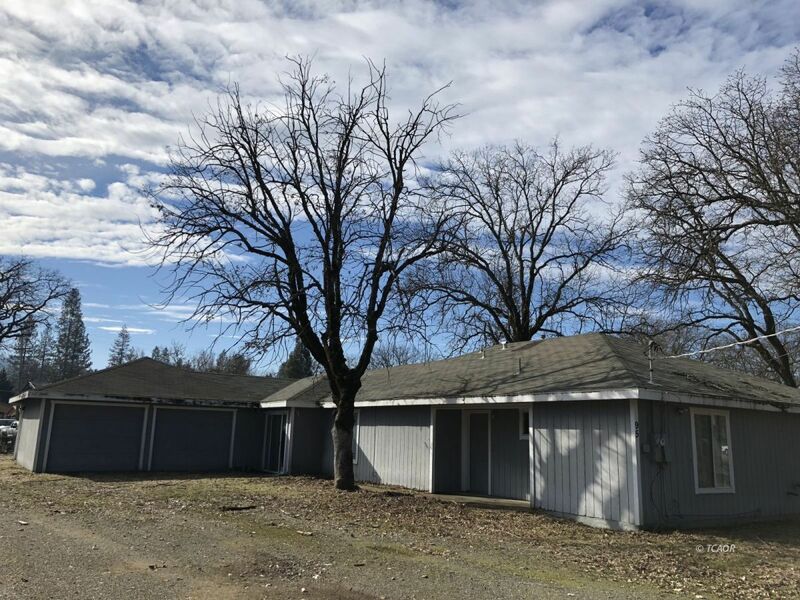 Don't let this opportunity pass you by, not very often a home of this size with these amenities is available in Hayfork!